“Father, You are the God who makes a way in the sea and a path through the mighty waters. You bring forth the chariot and horse, the army and the power. We ask that you will do a new thing in Sudan and South-Sudan. We ask in the Name of Jesus Christ of Nazareth that it will spring forth and that they will never consider the old things. 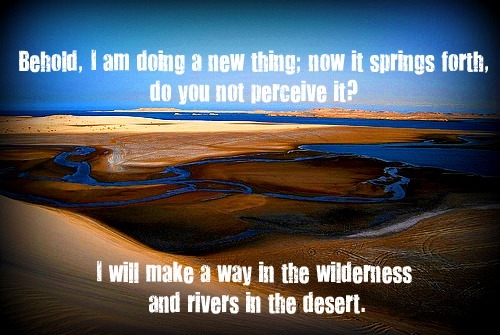 Thank you for making a way in the wilderness and rivers in the desert. Amen.” (Portions of prayer derived from Isaiah 43). 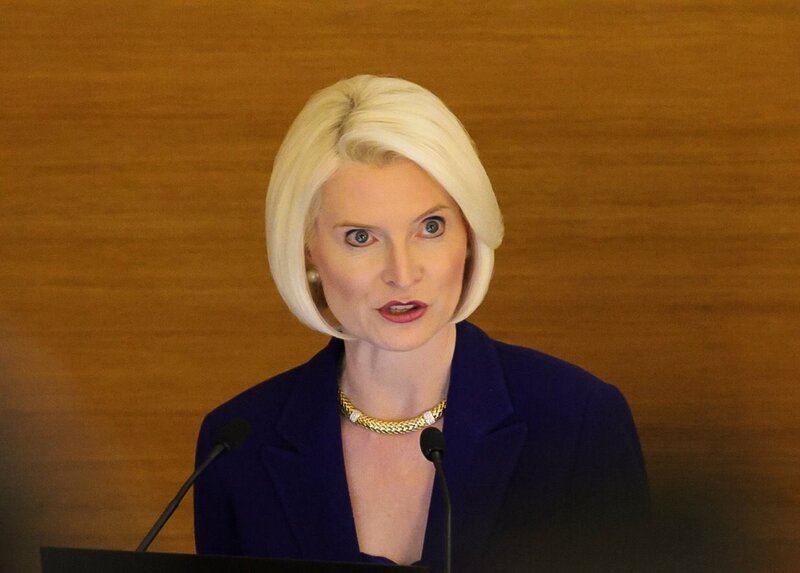 Ambassador Callista Gingrich speaking at the conference ‘Building Peace Together’ at the Pontifical Urbaniana University, Rome, Jan. 18, 2018. (Edward Pentin photo). Link to image. The new U.S. ambassador to the Holy See, Callista Gingrich, has praised the “fearless leadership” of the Catholic Church in advancing “peace, justice and prosperity” in South Sudan and the Democratic Republic of Congo — two African countries wracked by years of crippling poverty, violence and war. The ambassador also commended the Church for supporting civil society in the fight for justice and “working for a mediated solution through dialogue.” The Church has taken mediatory roles in both counties, with most direct efforts taking place in the DRC. The round table at the Pontifical Urbaniana University on the theme “Building Peace Together” was sponsored by a variety of Church organizations involved in humanitarian work in South Sudan and the DRC, as well as the Vatican Dicastery for Promoting Integral Development, the International Union of Superiors General, and Caritas Internationalis. Those in attendance included the ambassador’s husband, former House Speaker Newt Gingrich, diplomats, missionaries, and students at the university, while musicians from the DRC provided some traditional music during the intervals. Cardinal Peter Turkson, the Ghanaian president of the Dicastery, said the organizers and participants were “seeking the guidance of the Holy Spirit” to find peace in these countries, adding that “non-violence is not only rhetoric against war” or about “moving away from war,” but a pledge to “rebuild the dignity” of the people. She said the United States is therefore “actively engaged in supporting democracy, human rights and the rule of law” in both countries, and that the U.S. government, along with the rest of the world, was “shocked” when peaceful Church-organized protests were “violently suppressed” by DRC security forces on Dec. 31. Catholics had called for a “peaceful march” after Sunday Mass, demanding that President Joseph Kabila step down. The president’s alleged refusal to relinquish office after his second full term ended in 2016 has led to conflict and tension over the past year. Kabila has led the country since 2001. The DRC, a vast former Belgian colony once known as Zaire, is extremely rich in natural resources which some say has acted like a curse on the nation leading to countless wars. In 2016, it was ranked the second poorest nation in the world. Most of the country is Christian, with Catholics making up about half of its 79 million people. Gingrich stressed that the U.S. is the DRC’s “largest bilateral donor” and will continue supporting the Congolese people in their efforts to “build a better a future,” as well as the United Nations Stabilization Mission (peacekeeping force) in the country. Regarding South Sudan, the ambassador called on all parties involved in the continuing civil war there to lay down their weapons, negotiate a permanent peaceful resolution to the conflict, and allow the east African nation to experience the “peace and prosperity” its people deserve. Gingrich said the conflict there has had a “devastating effect on the people” and that the U.S. government is “watching closely” a ceasefire signed in December. Listed the 16th poorest nation in 2016, South Sudan has been torn by a four-year civil war after incumbent leader Salva Kiir accused former vice president Riek Machar of staging a coup d’état. The disagreement degenerated into military confrontation, leading to an estimated loss of at least 50,000 lives (some say it could be as many as 300,000) and the forced displacement of 3.5 million people out of a population of 12 million. Since last month’s ceasefire agreement in Addis Ababa, several violations have occurred, with both sides blaming each other for the breach. Gingrich said the U.S. has been the largest donor of humanitarian aid in South Sudan since 2013, delivering $2.9 million to its people, refugees and neighbouring states. She called on the government to provide “free, safe and unhindered access” for humanitarian organisations, and assured the Church leaders present that they have the “full support” of the United States. Last month, South Sudanese Church leaders called on Pope Francis to visit the war-ravaged nation, hoping he could be a “a voice for the voiceless.” The Holy Father had planned to visit the country in October, but cancelled it citing security concerns. Instead, he donated $30,000 to help feed the country’s most vulnerable citizens ahead of the upcoming dry season. Protests in Omdurman against the price hikes, Jan. 17, 2018 (RD). Link to article. On Friday, demonstrations against the huge price hikes continued in the Sudanese capital for the fourth day in a row. Protests were also reported in Rabak, the capital of White Nile State. Worshippers leaving Friday afternoon, El Ansar [followers of Imam El Sadig El Mahdi] Mosque in Omdurman’s Wad Nubawi district, staged a protest against the continuing increase in prices of consumer goods. Carrying the flag of Sudan, they chanted “No, no to the price increases”. Multiple sources told Radio Dabanga that the government forces used excessive force to halt the protesters. “They stormed the mosque and threw lots of tear gas in and around the mosque,” one of them related. According to El Sadig Adam Ismail, member of the Political Bureau of the National Umma Party (NUP), the party’s Secretary-General Dr Sara Nugdallah, and other NUP leaders, among them Mohamed Abdallah El Doma and Ibrahim El Amin, Communist Party of Sudan leaders Mohamed Mukhtar El Khateeb and Siddig Yousef, and many other politicians, activists, journalists, and students are still being held. Rabah El Mahdi, daughter of NUP president El Sadig El Mahdi, strongly condemned the storming of the mosque, and the “extremely violent arrest” of Khaled Saadouk inside the building. Another activist was detained as well because she filmed the violence with her mobile, she said. Security troops and riot police also dispersed anti-price-hike protesters in Burri district in eastern Khartoum and in Rabak in White Nile State on Friday afternoon. In Atbara in Nile River State, agents of the National Intelligence and Security Service detained Fathi El Hadi, a member of the Communist Party, at one of the petrol stations in the town on Friday, while he was calling on the residents of the town to protest the fuel crisis and the price hikes. In early January, the Sudanese markets were hit by the consequences of financial measures taken by the government based on the 2018 National Budget. In addition to increased levies and taxes imposed on traders and citizens, the customs rate of the Dollar was raised from SDG 6.7 to SDG 18. Since then, people in various parts of the country took to the streets almost every day to protest the austerity measures. The 2018 Budget has been criticised as well for allocating the majority of funds to security, defence and presidential expenditures. On Tuesday, the Communist Party organised a mass rally in Khartoum, against the new austerity measures. Dozens of journalists, senior leaders of political parties, members of civil society organisations, employees, workers, youth, and students participated in the march in an unprecedented scene in which police and security forces used excessive force. Many protesters, among them prominent party leaders, were detained. 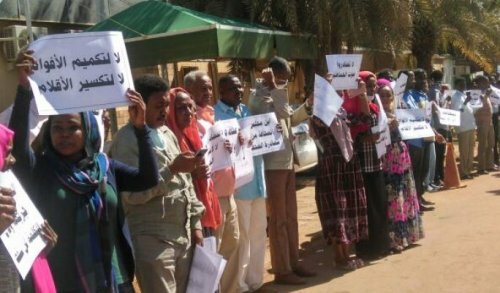 The following day, a protest vigil called for by the NUP and entitled ‘Salvation of the Homeland’ went ahead in Omdurman in spite of attempts by the security apparatus to prevent it. A declaration, read out on behalf of the opposition forces, at a press conference at the NUP headquarters on Wednesday called for removal of the regime headed by Omar Al Bashir, the formation of a transitional government, and a just and comprehensive peace agreement that eliminates the causes of the conflicts in the country. A South Sudanese child fleeing from recent fighting in Lasu in South Sudan. Photo: SIMONA FOLTYN / AFP / Getty Images. Link to image. 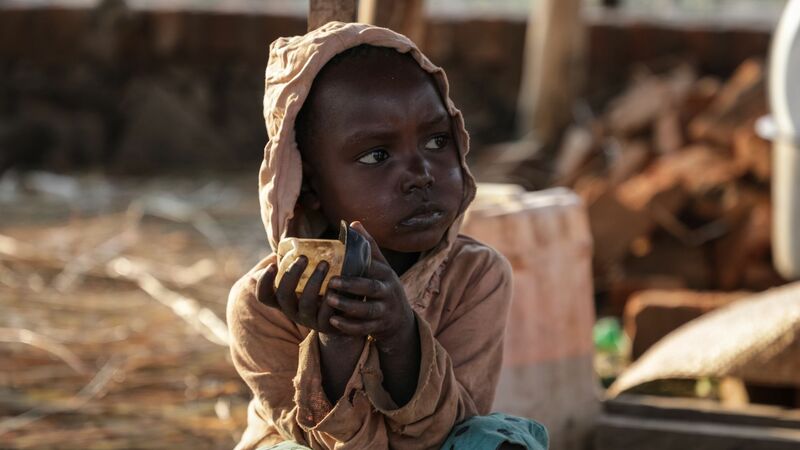 Henrietta Fore, the executive director of the United Nations International Children’s Emergency Fund (UNICEF), told Al Jazeera more than 250,000 children in South Sudan “are going to be facing death this year before July” due to malnutrition. 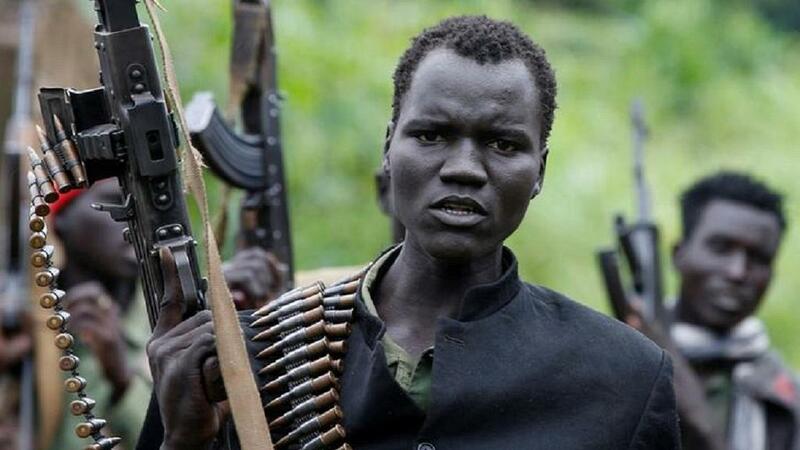 Why it matters: Since fighting began in South Sudan in 2013, the war-torn country has seen more than 2,300 children killed, and 19,000 “recruited into armed groups,” Al Jazeera reports. The war has “devastated agricultural production,” and as South Sudan approaches its dry season, concerns over food and water are rising. Seventy percent of South Sudan’s children are out of school and the young country risks losing a generation that would make it harder to rebuild after conflict ends, a United Nations official said. South Sudan, which split off from its northern neighbour Sudan in 2011, has been gripped by a four-year civil war sparked by political rivalry between incumbent leader Salva Kiir and his former deputy Riek Machar. In an interview with Reuters on Friday, Henrietta H. Fore, UNICEF’s executive director, made the warning after visiting some of the areas most devastated by the war. “70 percent of the children are out of school, that is highest in the world. There is too much violence,” she said. Tens of thousands are estimated to have died in the conflict which has also displaced a quarter of the country’s population of 12 million. The economy, almost entirely dependant on oil exports, has been left in tatters as output has been cut. Agricultural production, too, has declined as insecurity has left sometimes entire villages abandoned and crops untended. A ceasefire deal was signed in Ethiopia’s capital Addis Ababa last month but it has been violated repeatedly with both sides blaming each other. Attacks have also been directed at humanitarian workers, complicating delivery of relief services on which hundreds of thousands of the displaced depend. Some 28 aid workers were killed in South Sudan last year, with nine shot dead in November alone, according to the United Nations. South Sudan’s Cabinet Affairs minister Martin Elia Lomuro warned non-governmental organisations (NGOs) against reporting on alleged ceasefire violations. “We want to warn you severely,” he said, adding monitoring such violations should be left to international monitors. January 20, 2018 (KHARTOUM) – The United States has condemned Sudan’s arbitrary detention of a number of journalists during the ongoing wave of anti-austerity protests. The National Intelligence and Security Services (NISS) arrested 15 journalists for covering two protests on 16 and 17 January in Khartoum and Omdurman towns. They arbitrary arrest was seen as an attempt form the security apparatus to dissuade the independent local media and international correspondents from covering protests organised by the opposition parties and advertise their activities. Nauert further expressed deep concern “about freedom of expression, including for members of the media, the closing of political space for all Sudanese, and Sudan’s poor overall human rights record”. According to the Paris-based media watchdog Reporters Without Borders (RWB) on Friday, eight journalists are still in arrest citing Reuters reporter Khalid Abdel Aziz and AFP reporter Abdel Moneim Abu Idriss in addition to Shawky Abdelazim, journalist at the independent daily Al-Youm Al-Tali, Imtinan El Radi, a reporter for the same newspaper, and Hayder Ahmed Khair Alla of the daily Al-Jareeda. Also, among the detainees Amal Habani, a female reporter for Al-Taghyeer news website. She was awarded an Amnesty International prize for her human rights work in Sudan. Last October, Washington removed economic sanctions on Sudan within a five-track engagement reached in December 2016, including the cessation of hostilities in the conflict areas, the humanitarian access to civilians in the war zones, cooperation to address regional conflicts and the support of U.S. counterterrorism efforts. The framework, also, includes three matters added in July last year including human rights record, religious freedoms and Sudan’s commitment to the international sanctions on North Korea which tops Washington diplomatic priorities. The lift of sanctions should be followed by talks on the lift of remaining sanctions, the end of armed conflicts and democratic reforms in Sudan. Washington said it would use the removal of remaining sanctions to encourage the government of President Omer al-Bashir to achieve peace and restore freedoms. Men in army uniforms sexually assaulted more than 150 women and children around South Sudan’s capital last year, in some cases mutilating the victims, a group monitoring the four-year civil war said. There’s “clear evidence” that such violence by government soldiers and security personnel is prevalent in the capital, Juba, and surrounding central Equatoria region, the Ceasefire and Transitional Security Arrangements Monitoring Mechanism said in a report dated Monday. It identified 154 reported cases of sexual and gender-based violence between February and December and said many others go unrecorded. South Sudanese army spokesman Lul Ruai Koang said by phone he wasn’t aware of the number of reported assaults. He said two such cases had been brought to the military’s attention and were successfully prosecuted. The conflict that erupted in the East African nation in December 2013 has claimed tens of thousands of lives and been marked by frequent reports of atrocities including sexual violence. Several victims recounted gang-rapes by two or three soldiers who broke into houses in the early morning, according to the monitoring group that was set up in 2015 by an East Africa bloc trying to mediate a peace deal. Khartoum – About 200 protesters marched on Wednesday in the Sudanese capital’s twin city of Omdurman against rising food prices, with anti-riot police firing tear gas to disperse the rally. Prices of food items but mainly bread have surged in past weeks across Sudan after a jump in the cost of flour due to a shortage of wheat supplies. Sporadic protests have since erupted in parts of Sudan, including Khartoum, with demonstrators coming out onto the streets in their hundreds. “No, no to hunger! No, no to high prices!” protesters shouted as they marched towards a square in central Omdurman, the twin city of Khartoum on the west bank of the Nile River. Anti-riot police moved in swiftly to stop their march and fired tear gas, an AFP correspondent reported. Authorities had poured water into the streets leading to the square in an attempt to prevent protesters from reaching the site, he said. Wednesday’s rally was called by the main opposition Umma Party, a day after a similar demonstration held near the presidential palace in Khartoum following a call issued by the Communist Party. Tuesday’s protest was also broken up by police using tear gas and beating protesters with batons. Sudan’s powerful National Intelligence and Security Service early on Wednesday arrested the Communist Party chief, Mokhtar al-Khatib, from his home, his party spokesperson told AFP. Several other senior Communist Party figures, student leaders and activists have already been arrested since the bread price protests began earlier this month. The protests erupted after the cost of a 50kg sack of flour jumped from $9 to $25, as wheat supplies dwindled following the government’s decision to leave grain imports to private companies. So far they have been sporadic and quickly broken up by security forces. But a student was killed during a protest in the western region of Darfur on January 7. Similar protests were held in late 2016 after the government cut fuel subsidies. The authorities cracked down on those protests to prevent a repeat of deadly unrest that followed an earlier round of subsidy cuts in 2013. Dozens of people were killed when security forces crushed the 2013 demonstrations, drawing international condemnation. Akobo – The United Nations says violence against aid workers in South Sudan reached a new high in 2017, with 28 killed. Nearly half of the 1 159 humanitarian access incidents reported last year by aid agencies involved violence including killing, looting and threats. The UN humanitarian office calls the trend “indicative of increasingly difficult times for aid workers in the country.” It says the trend continues even after President Salva Kiir in November ordered unimpeded movement for aid groups. File: The Sudanese Journalists Network said copies of newspapers were seized and journalists were arrested earlier this week while reporting on anti-inflation protests in Khartoum. Photo: Martin Bureau /AFP/Getty Images. Link to image. 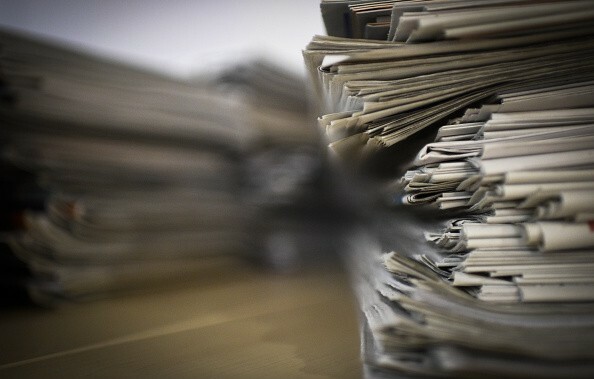 JOHANNESBURG – Authorities in Sudan have seized copies of newspapers and arrested several reporters over articles on “anti-inflation protests” prompting calls from the Committee to Protect Journalists (CPJ) against the harassment. “Sudanese authorities should cease harassing and arresting journalists and confiscating newspapers, and should allow journalists to report on matters of public interest without fear of reprisal,” the CPJ said on Friday. The Sudanese Journalists Network (SJN) said on Tuesday and Wednesday Sudan’s National Intelligence and Security Services (NISS) arrested seven journalists while they were reporting on anti-inflation protests in Khartoum. Reporters from privately owned newspapers Magdi al-Ajib of al-Watan, Rishan Oushi (Mijhar al-Siyasi), Imtenan Al-Radi (al-Youm al-Tali), and freelance journalist Amal Habani were arrested on 16 January. The next day, Shawky Abdelazim, al-Youm al-Tali editor, Khalid Abdelaziz, Reuters’ Sudan correspondent, and Abdelmunim Abudris, AFP’s correspondent, were arrested. A spokesperson for SJN, who does not want to be named said family members of the arrested journalists did not know their whereabouts or if they were facing any charges. “By arresting and intimidating journalists, confiscating newspapers and attempting to censor news dissemination, the Sudanese authorities keep trying to get journalists to stick to the official narrative or pay the price,” CPJ Middle East and North Africa program coordinator Sherif Mansour said.